Is There a Looming Supply Bottleneck in California? California’s regulated adult use cannabis market has been up and running for around four months now and rumors of a potential supply bottleneck on the horizon are beginning to circulate. There are a number of factors that could have an impact on the cannabis supply in the market, most of which stem from changes in the distribution channels now that the state is implementing new regulations. Those include a slow rollout in licensing cannabis businesses, new testing requirements, the supply carryover period prior to January 1stas well as new labeling and packaging regulations. In this piece, we are going to examine some of those rumors, see if there might be some truth to them and provide some guidance for what businesses can do to prepare for this. This one is perhaps the most obvious factor to impact the supply chain in California. Much of the delays in licensing cannabis businesses came from the issue of local control, where businesses needed to get approval from their municipality before getting a state license. In the first month of the new market, it took Los Angeles weeks longer than other counties to begin licensing dispensaries. Whereas San Diego retailers saw a massive influx of customers right away, forcing them to buy up product to meet the high demand. Smaller producers also had trouble getting licenses as quickly as some of the larger ones. Basically it all boils down to a slow start for the new market, according to Diane Czarkowski, co-founder of Canna Advisors. “The state is requiring businesses to get their local licenses before they can get their state license and that will create a delay in operators being able to bring products to market,” says Czarkowski. She says this is pretty typical of new markets, or when a market experiences dramatic changes quickly. “It could be a brand-new market, like in Hawaii, where the operators were ready with product, but there were no labs to test the products, which caused delays.” In addition to the licensing roll out being slow to start, the temporary licenses initially awarded to businesses are set to expire soon, by the end of April. The same logic goes for the testing regulations. 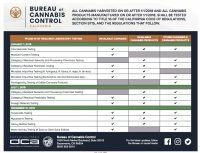 New testing and labeling requirements, according to the Bureau of Cannabis Control regulating the market, will be phased in throughout 2018. 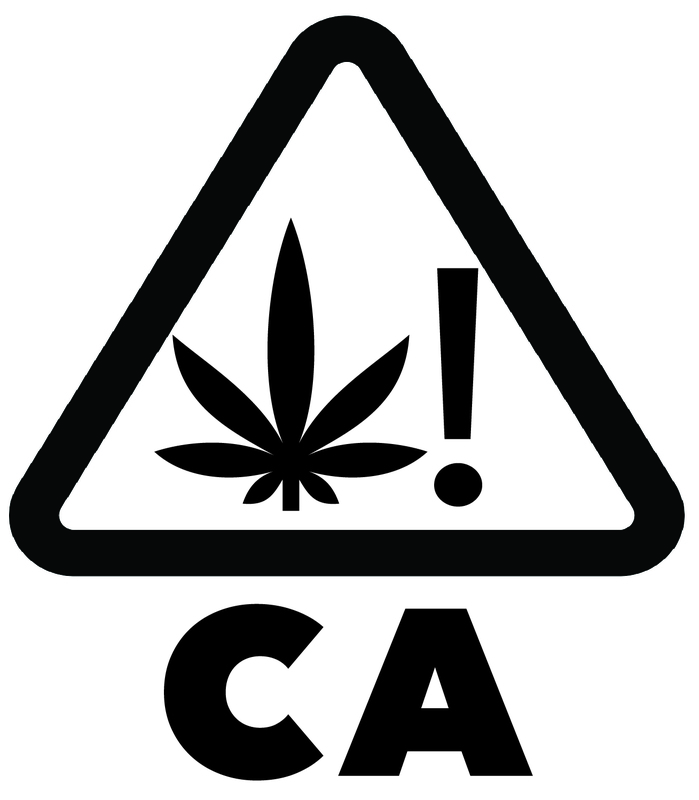 Back when we spoke with Josh Drayton, deputy director of the California Cannabis Industry Association, about the upcoming changes to the California market, he voiced his concerns with the coming testing rules. “A lot of testing labs are concerned they are unable to test at the state’s threshold for some of these contaminants and pesticides; the detection limits seem very low,” says Drayton. 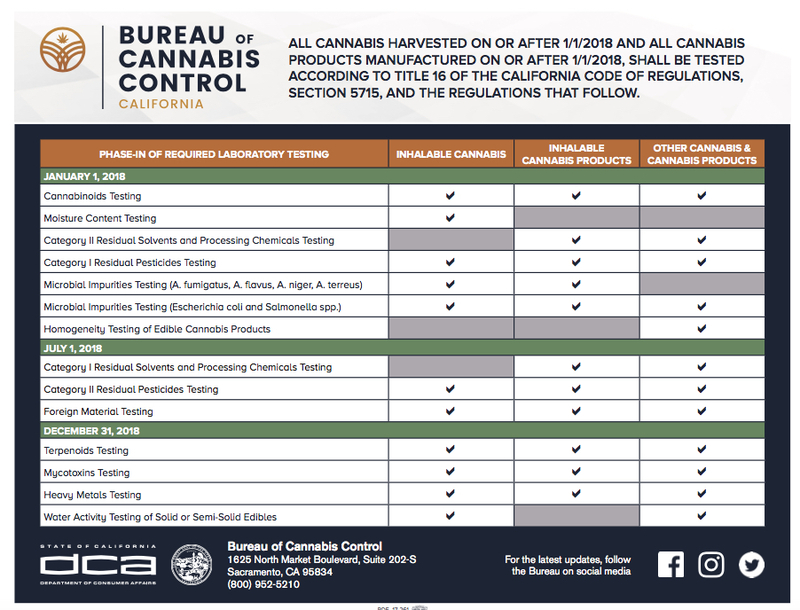 “The testing portion will take years to work out, I am sure we will remove and add different pesticides and contaminants to the list.” California’s testing industry is, however, capable of adapting to changing rules, as they’ve done in the past on more than one occasion. It should be noted that many labs in the state are on the cutting edge of testing cannabis, working with The Bureau to implement the new rules. A fourth reason for a potential bottleneck could also come from packaging and labeling rules. “There will have to be many modifications to products to ensure they follow the new potency regulations, and many formulations will have to be modified in order to meet new regulations,” says Czarkowski. Distributor licenses, according to The Bureau, have a number of compliance documentation requirements, such as arranging for all product testing, quality assurance and packaging and label accuracy. Everything has to be packaged before it gets to a dispensary, which is a new rule California businesses need to comply with. There are a handful of reasons why prices could increase; some of them are more defined than others, the biggest factor being the tax burden passed on to consumers, where reports showed up to a 40% increase from last year. A price increase in the future could also come from The Bureau implementing testing regulations throughout 2018, as mentioned previously. 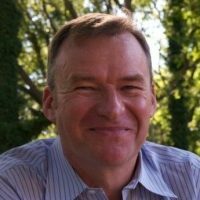 According to Roy Bingham, there has been a significant increase in pricing in all categories at the retail level. “In January and February, we are seeing about 10% increases per month in average retail prices,” says Bingham. “If we look at concentrates in California during 2017, they averaged about $34 by the end of the year, whereas it was about $31 at the start of 2017. So in January, prices have increased up to $38, which is a bit above trend, but in fact we were seeing a trend upwards before January 1st as well.” Comparing that with edibles pricing, Bingham says we see a clear jump at the start of 2018. “It was basically flat in 2017, averaging $14 roughly almost straight-line across, dipped in December, then in January it jumped to $17 and then to $18 in February, a big increase and significantly more than concentrates,” says Bingham. He also says flower was hovering around $9 per gram in December 2017, but surged above $10 in February 2018. According to Cannabis Benchmarks, the California wholesale averages surged in the summer of 2017 up to $1,631 by September, then reached their lowest point in December, with their spot index at $1,368. The Cannabis Benchmarks report underlines some important reasons for the changes in pricing, but they also attribute it to the new licensing system. Their report highlights some very important aspects of the supply chain. 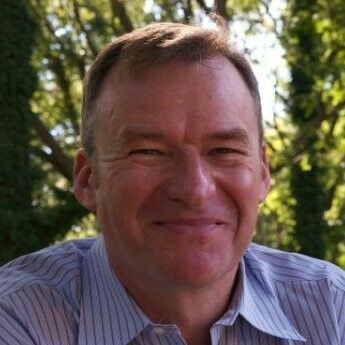 “Again, it is likely that the increased costs faced by operators up and down the supply chain exert some upward pressure on wholesale rates, preventing them from steep year-over-year declines that were observed in some of the other major Western markets,” reads the Cannabis Benchmarks report. So How Can Businesses Prepare? Well to start, producers should make sure their operations and product are clean and safe. Making sure your product will pass a pesticide test should be top of mind. Dispensaries should also be wise in selecting their suppliers, performing supplier quality audits or some form of verification that they meet your standards is key in a consistent supply chain. 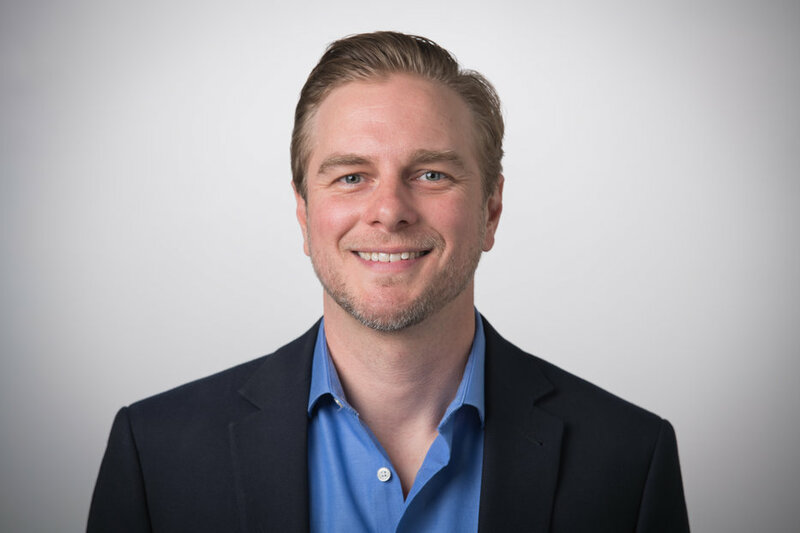 Dr. Jon Vaught, chief executive officer of Front Range Biosciences, believes tissue culture could be a viable solution for some California producers. Using tissue culture, as a form of propagation instead of mothers and clones can be cleaner, cheaper and more efficient, thus allowing growers to keep up with demand and prevent a shortage. We’ve covered the basics of tissue culture previously on CIJ, with Dr. Hope Jones chief science officer of C4 Laboratories. She echoes many of Dr. Vaught’s points, firmly believing that, having existed for decades, tissue culture is an effective propagation tool for advanced breeders or growers looking to scale up.It is a complex supply chain that requires systems thinking. Ultimately, one segment of the market can’t prevent a bottleneck. It is a complex supply chain that requires systems thinking. Regulators need to work with producers, manufacturers, retailers, distributors, patients, consumers and laboratories to keep an eye on the overall supply chain flow.